Hey Guys! 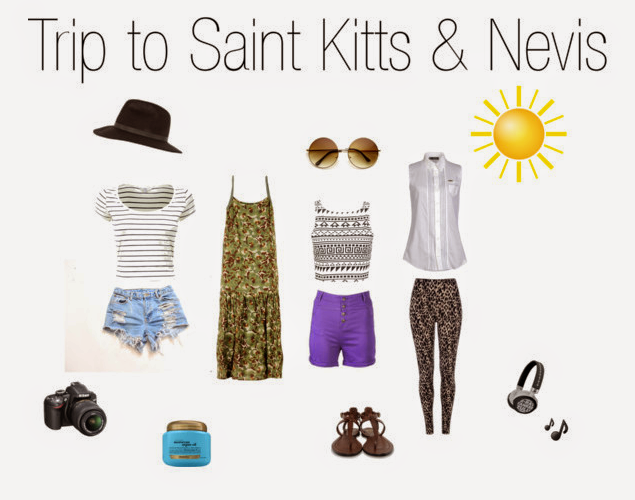 I'm so excited to be heading to St Kitts & Nevis tomorrow to visit my big brother. He's in medical school over there and I'll be there for about a week. I can't wait to go hiking, swimming and all sorts of exploring. I haven't flown in a while so I will admit I'm a bit timid, but the only way to get over it is to do it :) These are a few of my outfits that I'll be wearing down there. I'm not gonna link clothes because it's not 'exactly' what I'll be wearing so keep a lookout for the new posts where I'll do my best to find the closest matches. Keep up with me on Instagram & Tumblr while I'm away! !